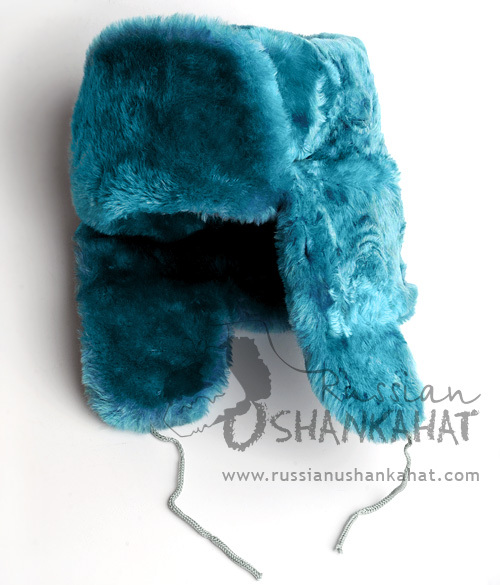 Light blue (azure) fur ushanka hat with badge. The only hat with earflaps that can be tied at the back of head, on the crown or left down to protect the ears from severe cold, frost and wind is called shapka ushanka. If you can dig down the history of Russian ushanka you will see that they belong to the Baltic origin and also have some connection with the Finnish hats. The hat had earflaps known as Ushi in the Russian language and tied with the help of tapes under the chin. These types of hats were popular in XIX century. The workers or labor class in the city of St. Petersburg wore the hats that were round in shape. 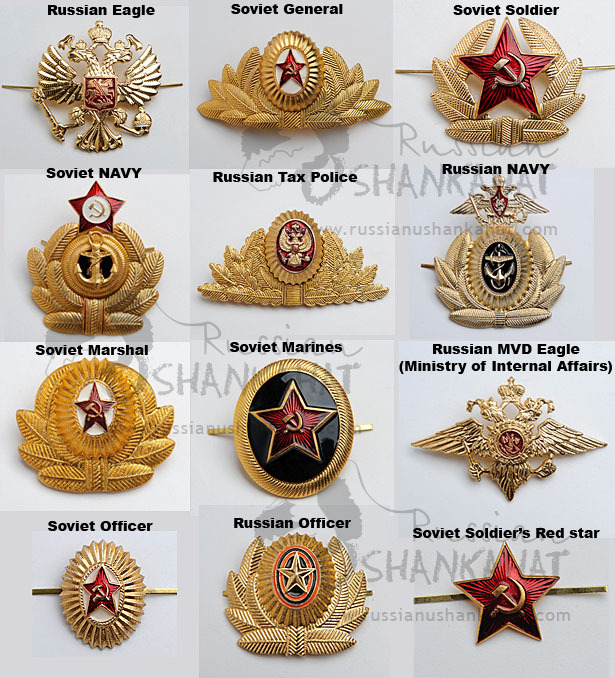 From there the rounded crown headgears became popular throughout the Russian states. With the growing demand of Russian fur hat, the factories started producing men’s fur hat and women ushanka in the former USSR. Black fur hat and other popular ushanka hats such as Cossack hat, aviator hat, trooper hat and trapper hat were made by using rabbit fur or mouton. The main purpose of the hat was to protect the individual from extreme severity of temperature and cold. For the working class fake or artificial fur hat were designed while the upper class enjoyed the luxury of wearing the real animal fur hat. Mothers would have a sigh of relief when they found their children safe from the frost. Ushanka faux fur hat was helpful to save them from catching a cold. In the beginning the shapka ushanka were made for only men. Women ushanka and children faux fur hat were introduced later on. In general, Russian fur hat or faux fur hat remained as a commodity for the majority and real fur hat were a luxury for a few number of people. Russian ushanka or unisex fur hat were made with different furs such as squirrel, polar fox, mink and bear and many more. Mink ushanka was beyond anyone’s imagination and it belonged to the rich and elite class in the country. It was also considered as the status symbol. Real fur hat is still considered as the sign prosperity and it is now available easily. 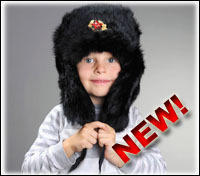 You can browse through various categories for the Russian fur hat and faux fur hat. Select the best fur hat and order online. 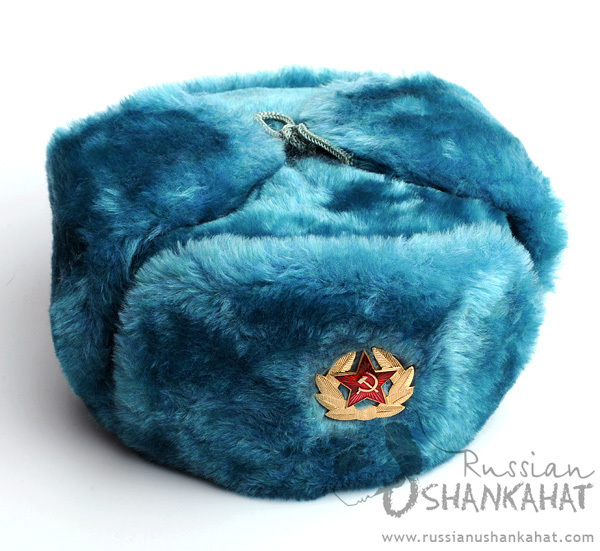 Shapka-ushanka made of mink or natural mouton was beyond ordinary man’s wildest dreams. The person who owned real fur ushanka was proud to wear it. The owner of the vintage and precious mink hat never lowered the earflaps even in the severe cold and frosty mornings. Those sweet old days have gone long ago and things have changed down the hillside. Animal lovers who want to buy protection for their ears and head are in the favor of faux fur hat. Fake fur hat is symbol of fashion and anyone can afford it. 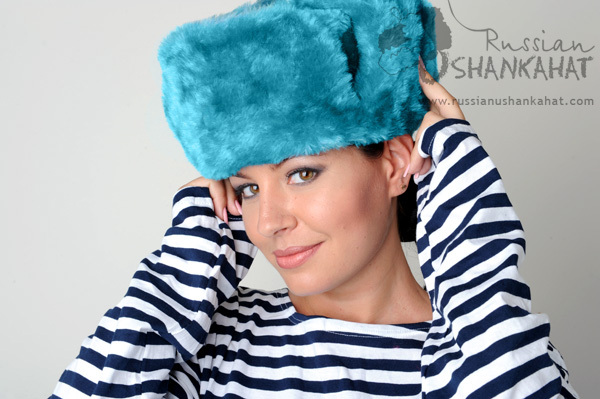 You will find real and fake both types of Russian fur hat at this website. Navigate the website to select and order online.